Berwick Community Trust was established in 2004 with the mission to secure a prosperous and vibrant Berwick-upon-Tweed. It is a charity that works exclusively for the benefit of the town through a broad programme of projects and services. It does this through continuous investment in its people and properties. Northumberland Conservation Team is the team within Northumberland County Council that works to conserve and enhance the special qualities of Northumberland’s environment. The team has experts in archaeology, ecology, historic buildings and areas, and marine conservation, who all offer specialist advice, help to set conservation and landscape policy, and promote best practice. They advise on development management for listed buildings, conservation areas and trees under preservation orders; giving advice to the public on repair and maintenance of listed buildings; identifying trees and buildings which are at risk and initiating action to ensure their survival; reviewing and assessing existing and proposed conservation areas; applying for and administering grant schemes for both conservation areas and listed buildings. 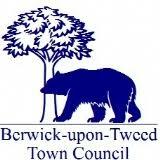 Berwick-upon-Tweed Town Council was created on 3rd March 2008 and has 16 unpaid Councillors who represent 7 wards covering Berwick, Tweedmouth and Spittal representing a population of 11,500 approximately. Berwick is the northern most town in England. The Civic Party is made up of the Town Mayor, Mayoress (or Mayor’s Consort), the Sheriff and Sheriff’s Lady. The Town Council is staffed by a Town Clerk and an Assistant to the Clerk who are based in The Workspace. Berwick Chamber of Trade and Commerce has a membership of approx. 150 businesses based predominantly in Berwick, but with a few rural members. It’s members are mostly small, family run, retail outlets or tourism providers with only the odd representative from a national chain. The Chamber’s main aim is to represent and promote the interests of these members, which is to encourage and protect the vitality and viability of Berwick as a sub-regional service centre/market town/and tourist destination point. The Chamber is represented on CAAG because it recognises the importance which inappropriate development/design can have on the outward appearance of the town and the effect that can have on visitor numbers.